Thanksgiving is the time for old favorite recipes, this Grandma has found. Everyone seems to crave the annual favorites. However, sometimes it is fun to experiment a bit, and this Grandma has found that Williams Sonoma has some short cuts for us with easy recipes for grandchildren to help make. This is brilliant and delicious! I serve this on the buffet with small styrofoam coffee cups for everyone to ladle themselves. You do not have to serve with soup spoons, because guests just drink it. Each jar makes about 8 servings. All you add is 2 cups of chicken broth or vegetable broth. Secret hint: Only Trader Joe’s sells Organic Chicken broth that is gluten free. This is easy enough for the preschooler grandchild to “cook,” and be proud of their participation, especially when everyone raves about the soup. You might even get the grandchildren to taste it. This is delicious and for the youngest grandchildren, scooping out of the jar is their cooking. Buy two as everyone will love this. It also tastes great on turkey sandwiches the day after Thanksgiving. If you need other gluten free options, check out Trader Joe’s brand gluten free stuffing mix. Stove Top is still the top rated though. Older grandchildren can cut up celery, onion, mushrooms, etc. and grandchildren can help by sauteing vegetables to mix into the standard to make it unique for your family. As with other gluten free products, the end product may be crumbly, but the joy of this product, in addition to being gluten free, is that each package either makes muffins or one 8″ by 8″ pan. With three grandchildren helping, with three boxes of mix, each can make their own tin. The bars get rave reviews and give the grandchildren a delicious cooking option for dessert. This jar makes two pies. You just have to add eggs and butter, pour into a pie shell and bake. Highly rated and easy. 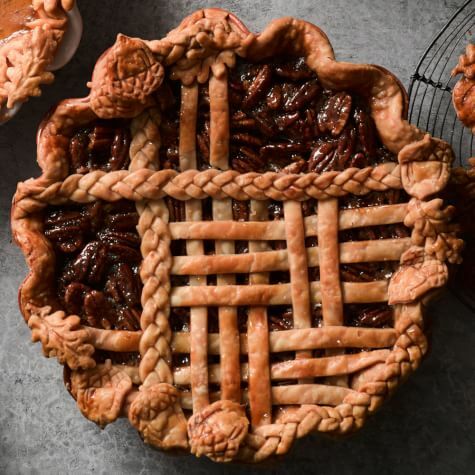 If you want to do more work, Williams Sonoma gives you the recipe for the pie shell. Choose any of the top rated flavors: Chocolate chip, gluten free chocolate chip, apple oatmeal, birthday cookie, pumpkin pie. Don’t just save these for Thanksgiving. Easy and quick and grandchildren wonderful. Sometimes the grandchildren just want their favorite recipe of yours for Thanksgiving. Some will not touch turkey and we want to have what they like. Each year our grandchildren want my mac ‘n cheese. I have found that even though it has thousands of calories the adults eat it all up and I have to make more than I could imagine for Thanksgiving. Try it for Thanksgiving and add it to your grandchildren’s favorites. Holiday time creates lasting memories and adding rituals of cooking together with ease adds to the holiday joy.